University of Plymouth is part of a new regional hub exploring how satellite technology can be used to drive business growth in the South West. Academics will work alongside other universities, research institutes and commercial partners through the Satellite Applications Catapult’s new South West Centre of Excellence. Co-funded by the UK Space Agency, the centre will use data obtained through satellites to generate global trade opportunities for local businesses. This data provides information about the world around us, including topics such as climate and weather, the location of ships and aeroplanes and agriculture, and the centre will host regular themed events and workshops to which local businesses will be invited. 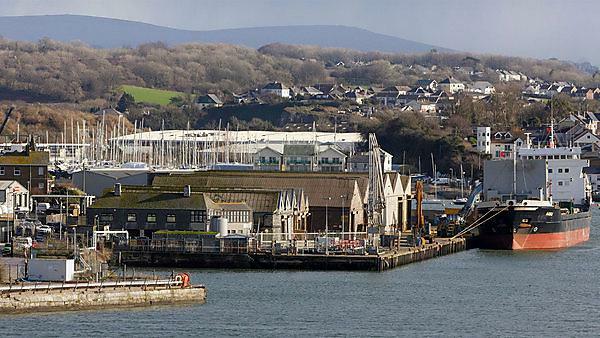 The project will build on University of Plymouth's existing expertise in supporting businesses in the marine and maritime sector, through initiatives such as the Marine Innovation Centre (MARIC). The South West centre is one of three announced today, and other partners include the University of Exeter, Falmouth University, the MET Office, Plymouth Marine Laboratory, Goonhilly Earth Station and Rothamsted Research. Its market focus areas will include agritech, maritime and eHealth, healthcare supported by electronic communications. The other new centres being established are in the South Coast and the Highlands and Islands, while there are existing centres in the East Midlands, central Scotland and north-east England. At the heart of our teaching philosophy is the desire to give you programmes that are driven by research-informed teaching and are at the leading edge in their fields. The Marine Innovation Centre (MARIC) is situated within the Marine Institute and builds connections between maritime businesses.